Is one of the best books I’ve ever read. It’s so funny and familiar and true…I found myself loving those little unruly Herdman kids in the story. It’s by Barbara Robinson and you should definitely read it before Dec. 24th. I attended a small church with my family once where we had a Christmas pageant. It was called Grace Fellowship, had coffee and donuts consistently after the service, and the Sunday schools met in the attic. There were also large families of small children there with names like Lois and Nathaniel. I was one of those kids who breathed out of her mouth (therefore it was always open), and also the kid who left no stone unturned when it came to theological questions. A story would be told, a nice conclusion given and a little lesson about what we were to do to that story. My favorite teacher at Grace, Mrs. G with the 5 boys with all biblical sounding names and a husband who drove a golf cart at Disney World, added something. She asked if we had any questions. My hand shot up every time she asked us, And now, do you have any questions. I walked away from Sunday school full of donuts and appreciation for my teacher. One day, she told us she’d written a Christmas play for the church Christmas service, and that we would all play a part. The script was handed out, pages and pages long, and much of the service would be explained by a narrator angel, who sat above the pageant in the baptismal hooked to a microphone. The narrator’s angel’s parts to be memorized were full paragraphs, almost single-spaced pages of narration. Guess who got to be the narrator angel? I remember, in the end, my teacher realized she’d gotten a little overzealous with what I could accomplish as a fifth grader. I doggedly studied those paragraphs, reading them over and over and repeating them to my mom, but on the actual day I remember that she allowed me a cheat sheet to refer to. I read many of my lines from the safe perch of the baptismal. At Crossroads, the church Frans and I now attend, there will be a 5 week series about Bethlehem that calls for some scripting and acting. Somehow word got out that I am a writer, and so guess who got to be the scriptwriter for the services? It took me awhile to understand the creative director’s vision, but once I did, this non-fiction Nancy raised her hand to try to create words to make the service come to life. Animated movie. It was a great description of my task, but writing an understandable, witty, didactic, simple yet profound Christmas script for Dutch and English-speaking internationals from the ages of 7-90 seemed a little tricky. Here is the latest funniest association I make right now…it’s that surprising little drunk Cupid from Disney’s Tangled. I started on the script, not knowing if I would find any words, and found myself writing quickly and glibly, the characters on the page coming to life and corny jokes springing up from the italics and colons between the dialogue. 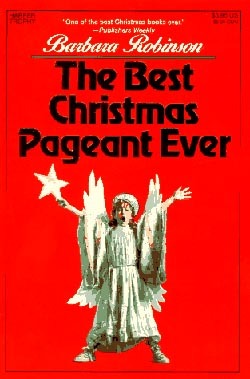 I thanked my lucky stars for a long-ago model in Barbara Robinson’s The Best Christmas Pageant Ever. And I hope, like her story, the humor in my pageant opens the door for the reverence, beauty, the truth of Christmas to come dancing in. Thanks to Jen Lawson for suggesting I write about this! i finally FINALLY caught up on your blog. i feel like i just spent an hour with you, thus the rest of my day will be awesome!! thank you so much for sharing with all of us what you’re learning and experiencing and enjoying in this new life of yours. love love love you!!! Yay, KT. And I am looking for an hour of (uninterrupted) Katie. Soon and very soon we will be able to make that happen. Maybe over some peppermint pie! Love you back. Thanks for reading, sister! I can’t wait until you come over yourself some day and see it. This is hilarious! That Cupid picture just craks me up over and over again. And …I can hardly wait to see the plays! I know. 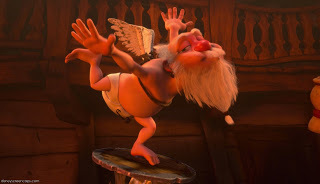 Those animators who created that cupid are geniuses! what???!!!!! Erin, what a privilege and honor! I have to say, not many people could move to a new country, be there for a couple of months, and live a life in such a way that others know already how much you want to serve and enter into relationships. you are a lover of life and all things it brings…. an inspiration to many…. love you!! !